Ahhh, it's starting to feel like summer finally! I don't know about you but for me summer and food equates to lots of wonderful salads. 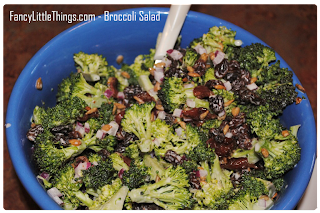 I am always on the lookout for new salad recipes, I found this one the other day. 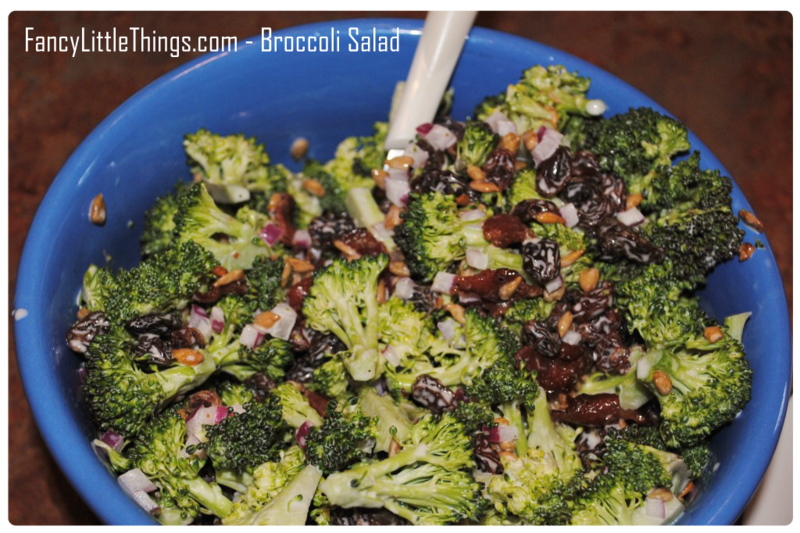 Last night hubby grilled out bar-b-que chicken and I made a little potato salad and this new broccoli salad, it was a hit! The photo isn't all that fabulous but the taste definitely was, hope you enjoy it as well! 1. place bacon in a skillet and cook on medium-high heat until evenly brown. set aside. 5. refrigerate for 1-2 hours. sprinkle with sunflower seeds and chopped bacon and serve.